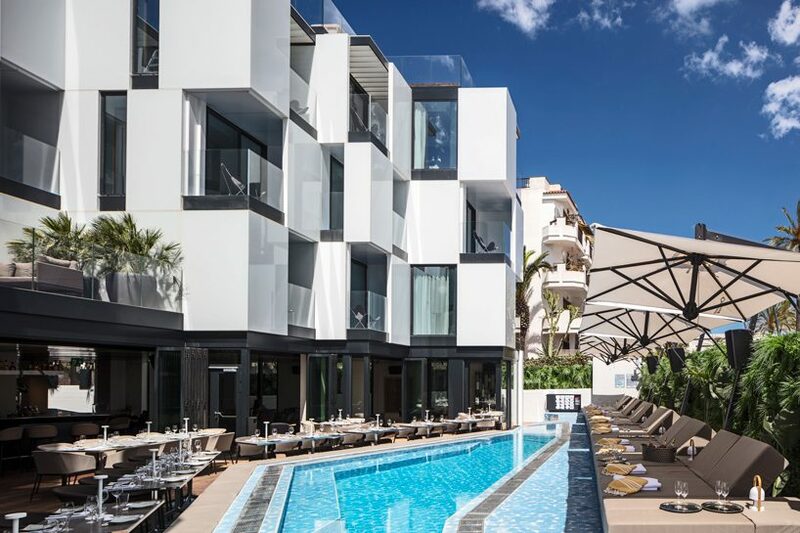 with the architecture by ribas & ribas and interiors by baranowitz kronenberg architects, Sir Hotels opened their first hotel in ibiza on july 7th 2017. named ‘sir joan’, it provides an urban oasis within the fashionable center, referencing the location’s split personality between an exclusive luxury and party destination. 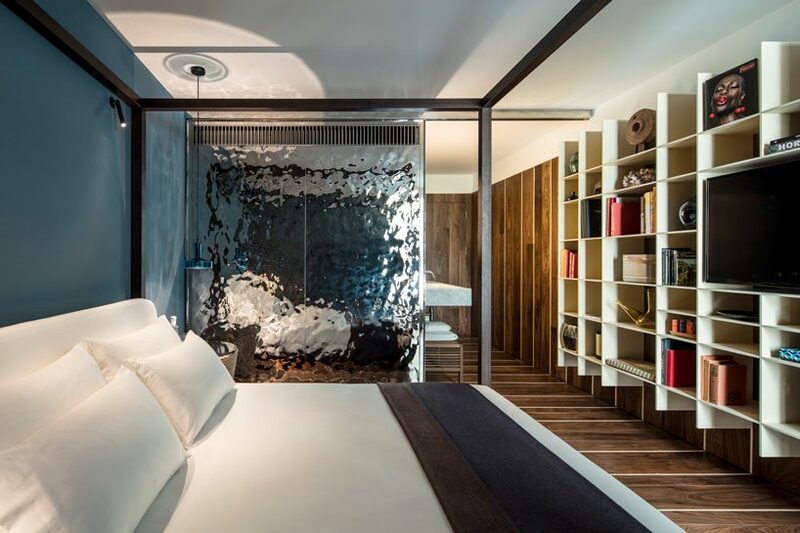 boasting 38 super luxury rooms, accompanied by renowned restaurants izakaya and the butcher, it is set to become a high-end and most sort after resort. 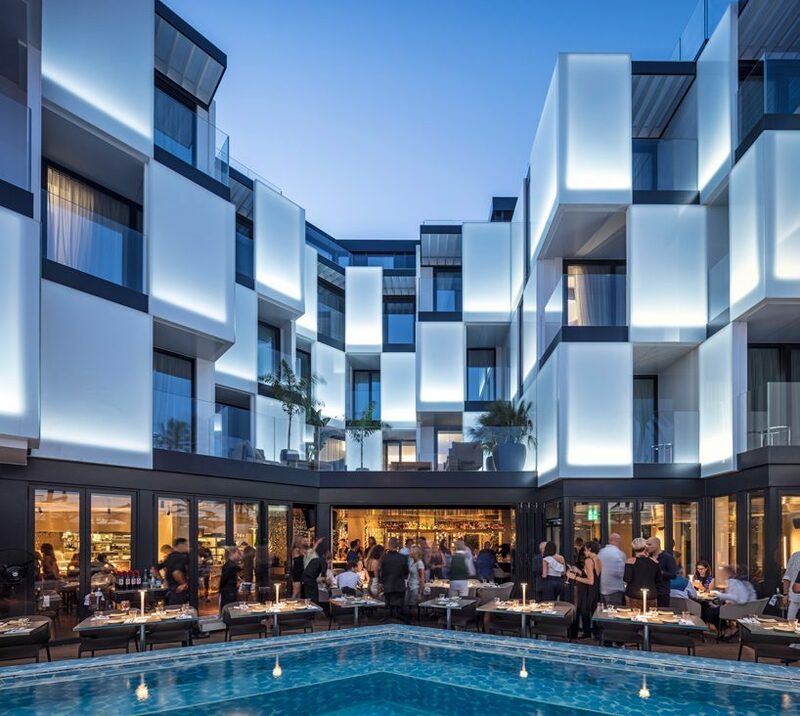 recently, designboom met with architects alon baranowitz and irene kronenberg who delved into the concept and narrative behind this exclusive hotel design. read the full interview below, and see more works by baranowitz kronenberg architects on designboom here. 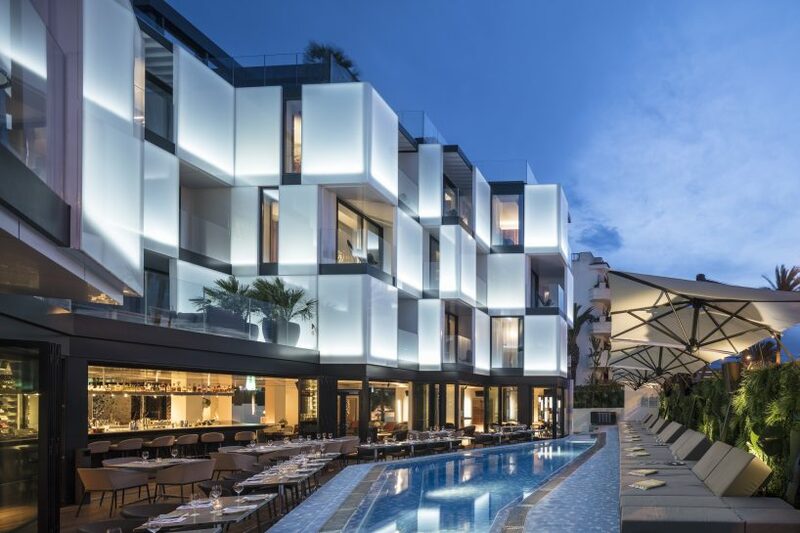 designboom: what was the main influence behind developing the sir joan hotel? baranowitz kronenberg: contextual insights are key to anything we do. adding to these the sir’s brand DNA, positioning and target audience, you get an authentic collection of ingredients to develop a story with. studying the island and the competition, we could see that there is a perpetual inclination towards the aesthetic of the balearic islands in various degrees, which seems like a logical thing to do. but we thought that sir joan was an opportunity to develop another angle of looking at things, still evoking the essence of place and being tuned to the brand. therefore, our design was not iinfluenced by ibiza, per-se, but rather by the life-style of our target audience arriving to the island; the jet and yacht-setters who rave the island throughout the summer season with the desire to be part of the wild heartbeats of ibiza. sir joan brings about an air of inclusive ‘members-only’ retreat. it reflects the maritime culture and yacht living. anchoring at the hotel alludes to leaving everything behind us and setting to a one of kind voyage under the sails and crew of sir joan. DB: what differentiates sir joan from its competition? BK: sir joan introduces a fresh alternative for what retreats could look and feel like in ibiza. it invokes the imagination and draws implicitly on the sensuous connection between time, place, life, selves, history, memory and experience. 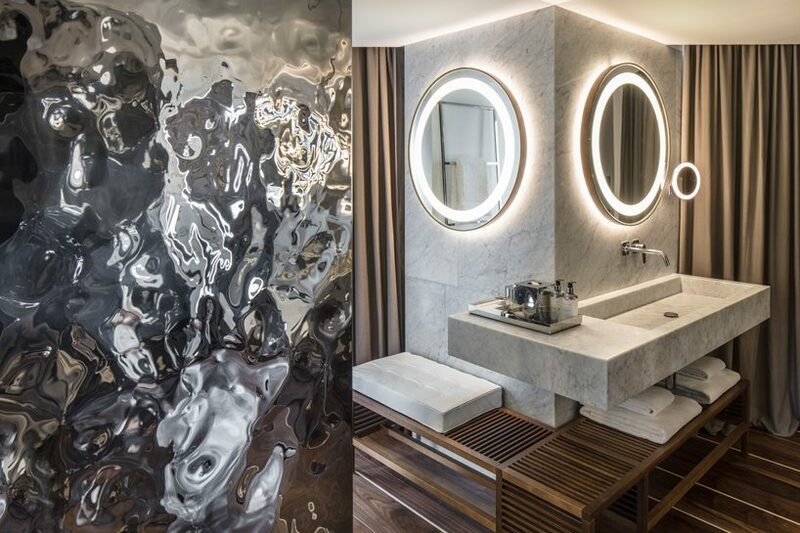 every act of the design embodies this very connection in a fresh way. ibiza has many folds; each one is a world by itself and could serve as the basis to tell great stories. our story converses with the present, past and future of the island where our audience is momentarily suspended in an iconic experience of a signature place. DB: how does your narrative find its expression within the various spaces of sir joan? BK: the notion of yacht-living introduces an air of a luxurious and a personal marine vessel running as an undercurrent throughout the spaces. as a vessel, sir joan manifests an escape to enjoy, discover and loose oneself while delighting in a vibrant breeze of place and culture. the social spaces are orchestrated to embrace any mood and mind-set. 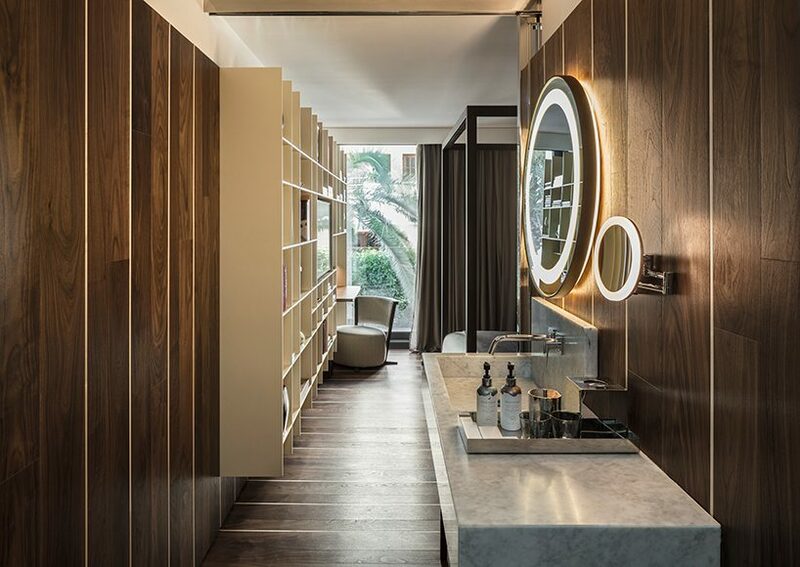 the movement through these spaces evokes an holistic spatial arrangement, as venues are infused together with an air of an easy-going free spirit where anything could be celebrated anywhere and where public and private are merely in the eyes of the beholder. when thinking about yacht-living, many imageries emerge but the ones that inspired us most were the sense of freedom, the flickering sea water when hit by the sun, the wood decking and shimmering stainless steel details of vessels built to last the winds and salt, and the beautiful craftsmanship and know-how of tattooed seamen. BK (continued): upon entering the hotel, the deep nut wood floor lining and the reflective polished aluminum lamella ceiling suggest an unexpected choice of materials, a choice belonging to sir joan’s guests rather than the island; the gradually changing hues of the ceiling imperceptibly change the mood of the place and makes one envision skies and seas, the undulating stainless steel bar inspired by bollards which keep ships at bay and now guests at the counter, the deformed polished stainless steel walls panels which ‘flood’ sir joan with cascades and shimmering reflections and the ‘tattooed’ carpet which embodies the essence of visionary seaman and enigmatic voyages. ascending the upper decks of sir joan, the flickering turquoise water of the balearics hover from above as skies of sorts and guide the way into the suites which are designed as an homage to yacht-living. 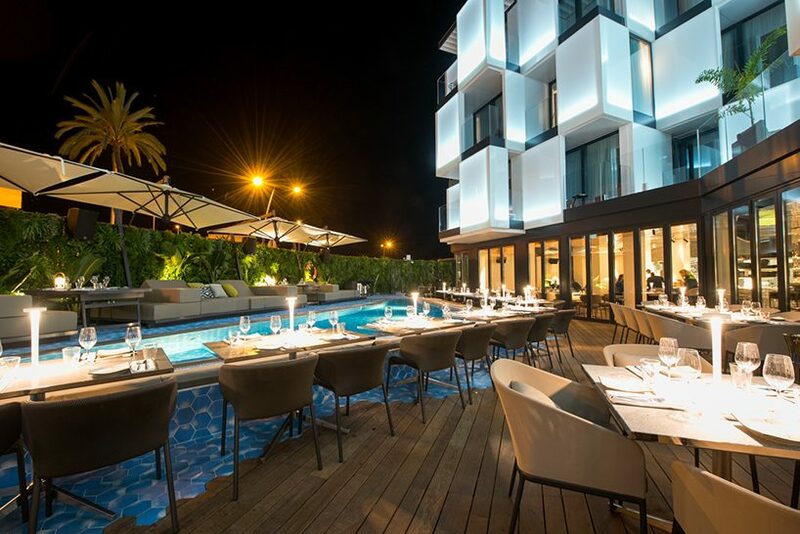 with a multi-surfaced facade conceived by ribas & ribas’, and overlooking the port and old town, ‘sir joan’ thus adds a small-scale contemporary grandeur to the historic maritime location, without becoming a modern overload. indeed, the building combines white walls with volumes of glass and steel, while vertical green walls and waterfalls provide a natural, calming and oasis-like backdrop where guests can escape the surrounding city. within their own piece of paradise, people can relax around the wraparound pool that is lined with cabanas and lounge chairs. 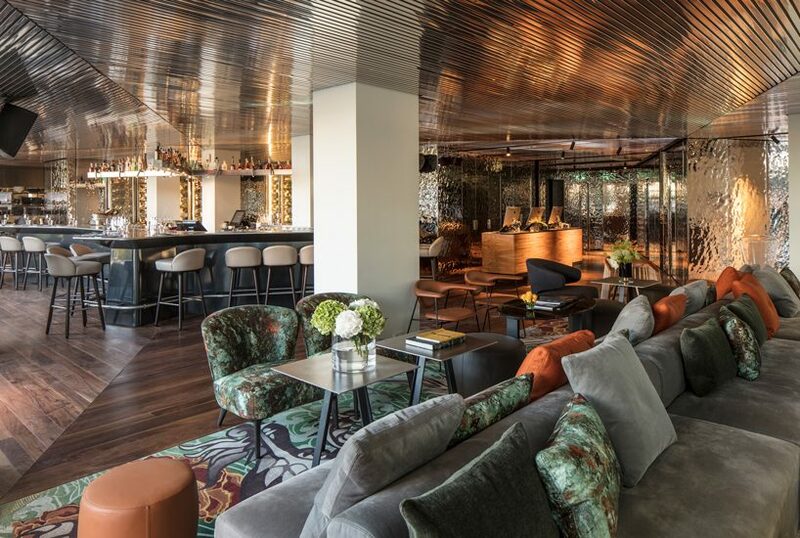 taking over most of the ground floor and spreading to the outside, the hotel’s exclusivity and ‘members-only’ vibe is strengthened with IZAKAYA — a renowned restaurant from amsterdam. 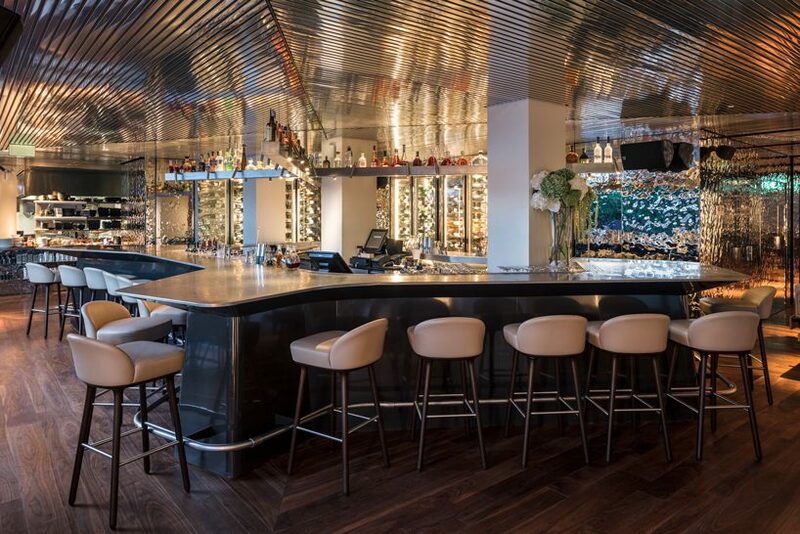 destined as a new hotspot for the island, the space offers an immersive and contemporary dining experience that fuses japanese cuisine with peruvian flavors. furthermore, ‘sir joan’ will also include the butcher, which is an award-winning amsterdam eatery as well. sir joan introduces a fresh alternative for what retreats could look and feel like in ibiza. it invokes the imagination and draws implicitly on the sensuous connection between time, place, life, selves, history, memory and experience. 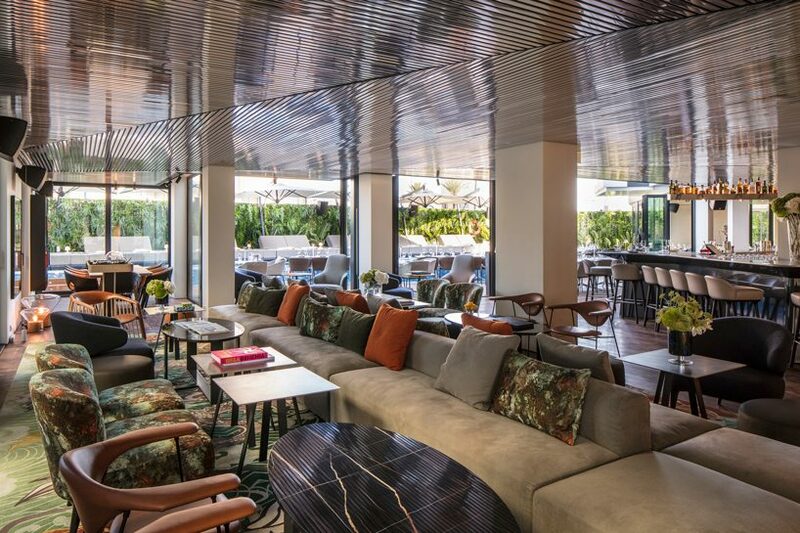 designboom met with architects alon baranowitz and irene kronenberg who delved into the concept and narrative behind this exclusive hotel design.